Imagine the perfect social Sunday, great food, newspapers, and Bloody Marys ,then add …a feast of ideas! 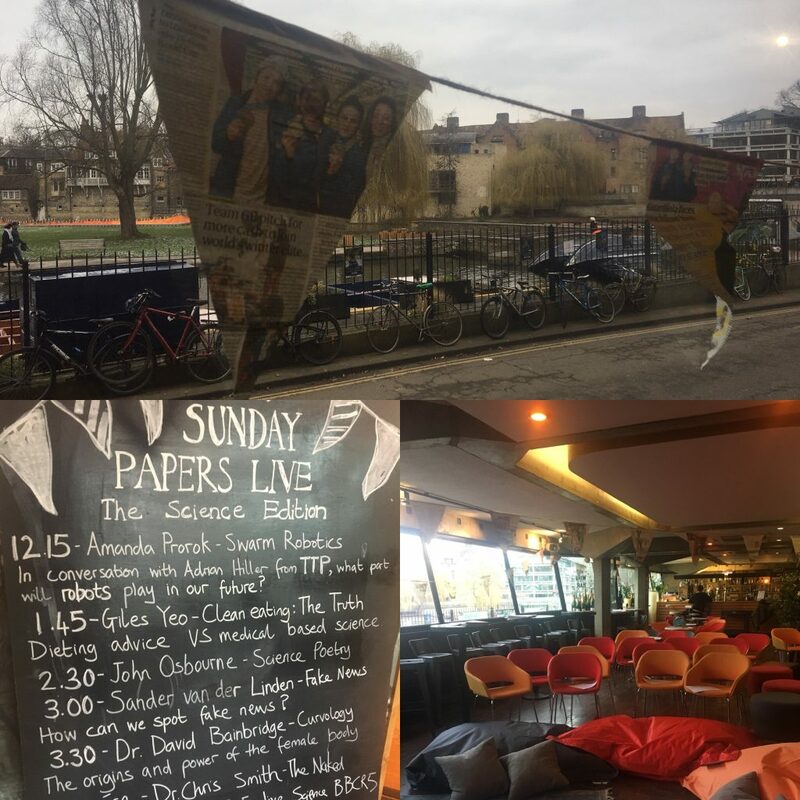 Sunday Papers Live was established in London in 2013, and is a mini-Sunday festival that brings the broadsheets to life, section by section, performance by performance, with high profile speakers, entertainers, fun/creative activities and food and drink. 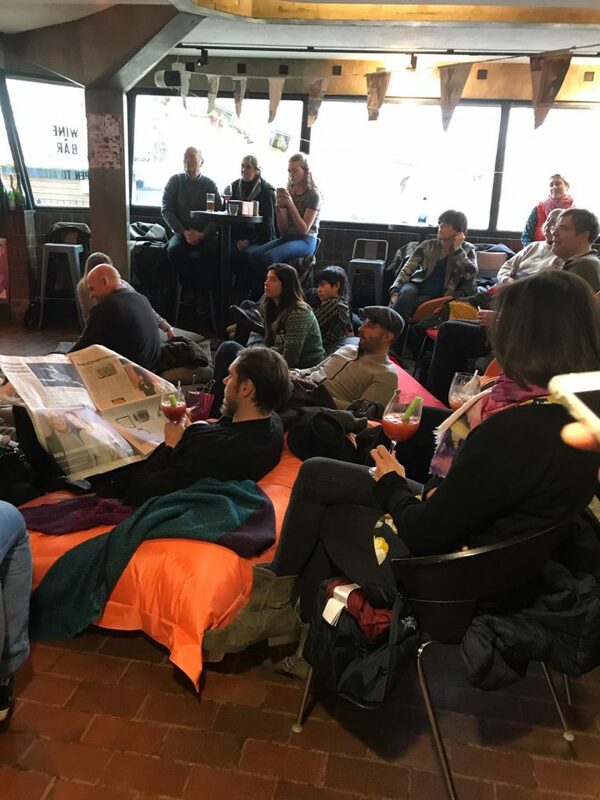 The special Festival of Ideas Edition aims to offer a thought-provoking, and enjoyable, Sunday where people can relax (you are encouraged to wear slippers! ), as well as engage with current issues and intellectual topics. Families with children over 12 are welcome, and there will be activities for older children too. Bloody Marys, prosecco, Sunday roast themed food available, full programme of talks, a guided walk, and activities for older kids and adults. Ticket prices does not include food or drink. World News – Professor. Tim Whitmarsh – A Tyrant in the Whitehouse – The twenty-first century West has lost sight of the art of making sense of tyrants, reading their proclamations, and flourishing under them: time to bring back the Greeks? Culture – Anna Brownsted – Anna will host a listening session of The Gold 45 Prototype (a record of sounds and songs that could be sent into Space) and invites discussion of the music selected and of the ‘Top 5 Most Significant Songs of the Last 40 Years’. But what is missing? An endlessly entertaining and stimulating conversation that you can be a part of! Science & Technology – Viren Swami The Science of Attraction – The science of how we form relationships. This talk looks at how factors such as geography, appearance, personality, and similarity, affect who we fall for and why. Travel – Sarah Woods – Sarah has experienced the extremes of living with a tribe and seen first-hand, the extremes that different societies go to for the sake of love, identity, or even survival. A fascinating talk by an award-winning travel writer. Health – Dr. Bianca Jupp is Neuroscientist with Cambridge University, and will discuss what substances do to our brains and what aspects of our personality and physiology makes us prone to being vulnerable to addiction. 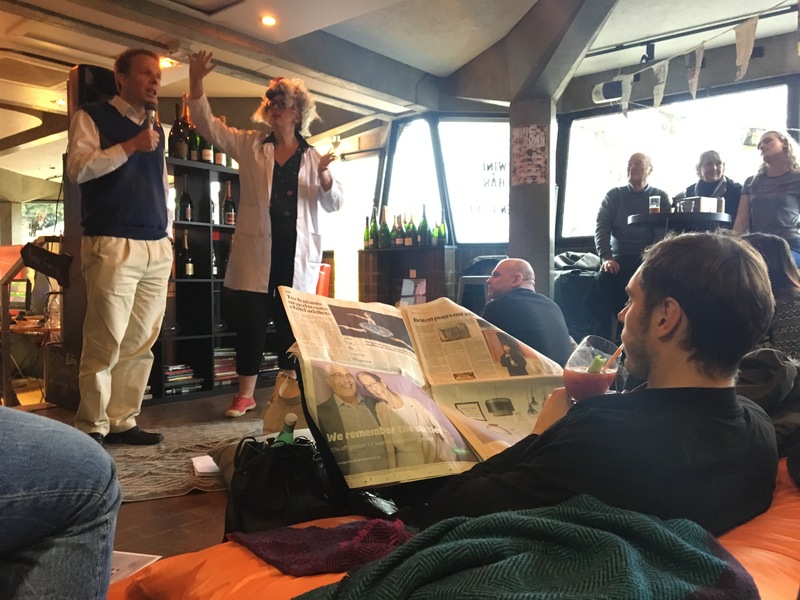 Columnist – Ali Warwood – our lovely compere – the warm and witty Ali will be regaling us with her experiences of being an extravert in an introverted city.